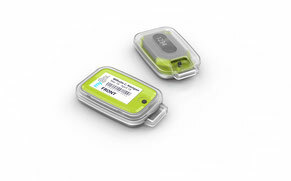 The myOSL dosimeter is probably the smallest OSL whole body dosimeter on the market. It contains two Beryllium Oxide detectors which are used for Hp(10)/deep dose and Hp(0.07)/skin dose. Beryllium Oxide (BeO) is a perfect OSL materials with high dosimetry characteristic. BeO is tissue equivalent and therefore highly suitable for personal dosimetry. One whole body badge solution is the myOSL dosimeter sealed in a blister which protects the OSL dosimeter against water, dust and dirt. It also provides the possibility to add a label on the front and rear side of the OSL blister which can show the information of the wearing person like name, department, wearing period, e.t.c. The myOSL dosimeter is alos protected agains unauthorized opening of the dosimeter which could influence the dose results (double-protection). 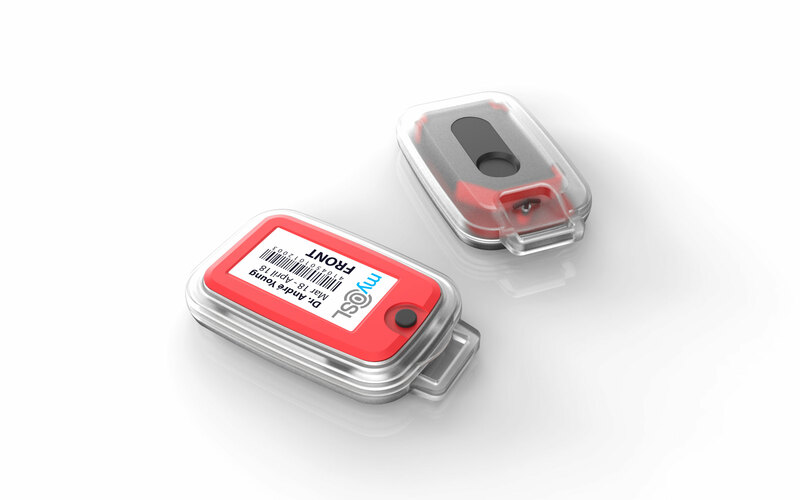 Another solution are our holders which keeps the smart and small design of our myOSL dosimeter. 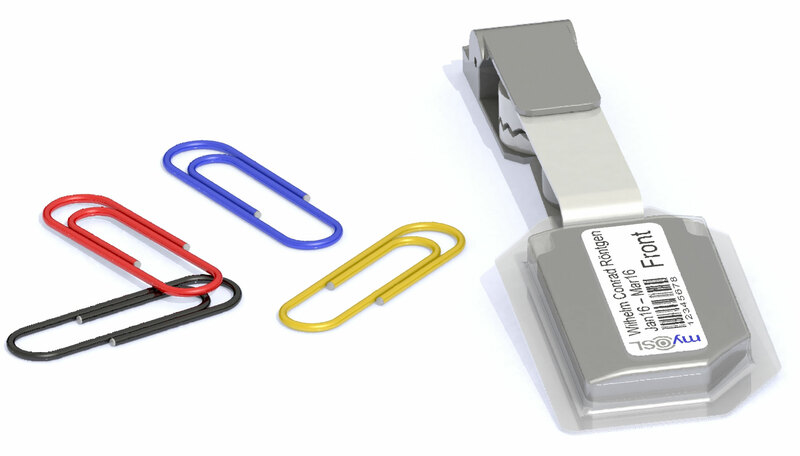 There will be two different versions of our OSL holder available. One with a mounting hole for a crocodile clip and the other one with a fixed clip to attache the dosimeter to your coat pocket. Both versions provide the possibilty to add a label on the rear side.